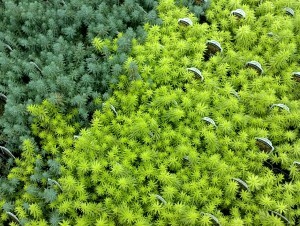 Angelina Sedum is an evergreen groundcover. It has spiky foliage that is a greenish yellow color that changes to an orange in the fall. It makes a great accent plant in the landscape, especially in a rock garden or xeriscape. Spacing: Plant 10″ to 12″ apart. Height: Grows 3″ to 6″ tall. Outstanding Features: Angelina Sedum attracts butterflies. Deer and rabbit resistant. Drought and heat tolerant. Tips: Pinch back if it gets to long. Looks great trailing down a wall or over the side of a pot. 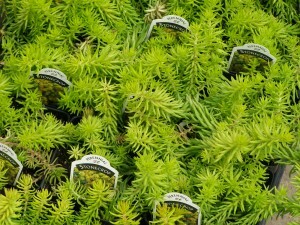 Click here to buy Angelina Sedum direct from www.buygardenvegetables.com.